If you’re looking for another low maintenance pet, then you’ve come to the right spot. 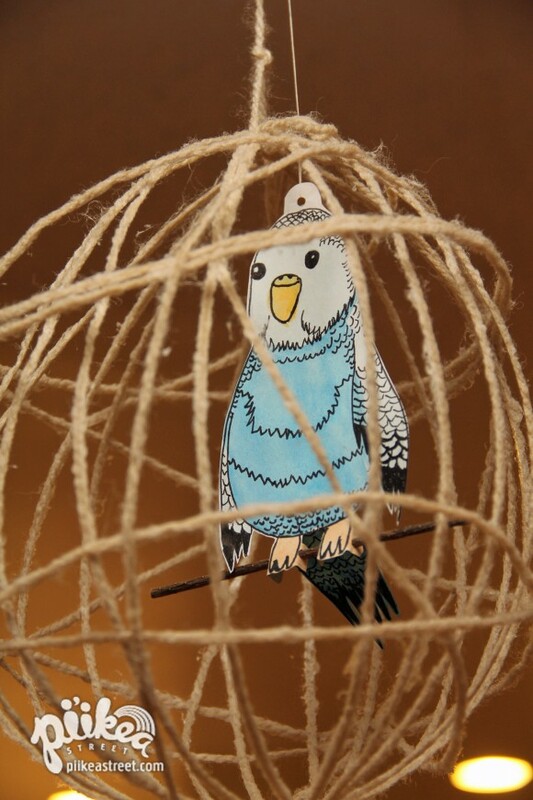 Much like the pet snake, our bird in a cage will help you hone your pet ownership skills. First, cover your area with newspaper and keep some moist towels nearby. 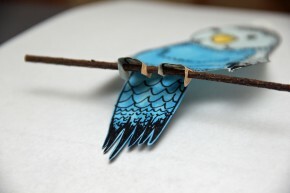 This is one sticky project! Blow up and tie your balloon. Wrap some yarn around the balloon about 20 times then cut yarn. Tie a separate piece of yarn, about a foot long, to end of balloon. This is for hanging when it’s time to dry. In a bowl, mix a quarter cup of glue and a few tablespoons of water together. Add yarn to mixture but keep a hold onto the ends with one hand. Mix until yarn is completely covered with glue mix. 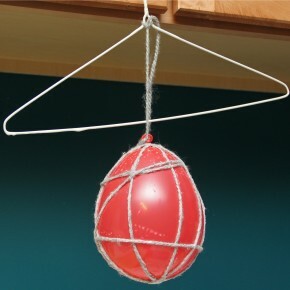 Wrap yarn around the balloon. Try not to squeeze the balloon as you do this. Tuck the end under a nearby loop. Hang the balloon and allow to dry overnight. 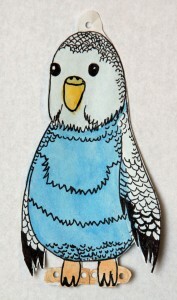 Prepare your bird (or whatever you’d like to cage up) by drawing and coloring on a piece of paper. Color on both front and back if you like. Allow some space for holes near the feet and head. Then cut your picture out. 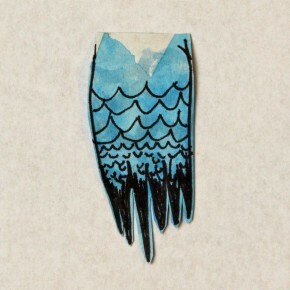 Draw and cut out the tail separately. 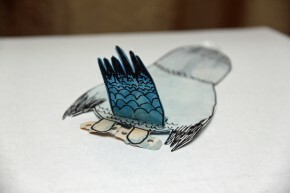 Bend the end a bit and glue to the backside of your bird. Next fold down the tabs near the feet and feed your stick through the holes. Tie some thread in the hole near the head. Now it’s time to pop the balloon. It’s best to do this outside because glue bits tend to fly everywhere. Carefully remove the balloon. 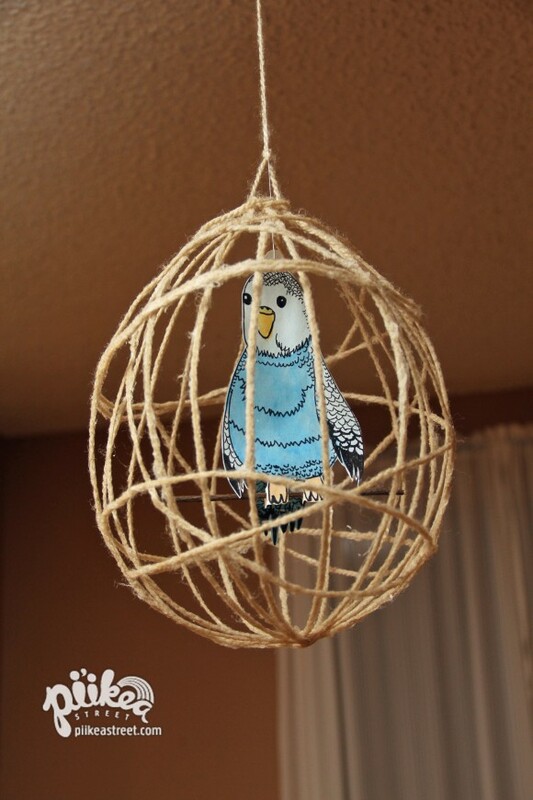 Tie more yarn to the top of your cage. Find the widest opening in the cage and slip the bird through. Tie the thread to the top of the cage. Congratulations, you’re now a proud owner of a bird! Isn’t she (or he) sweet?! p.s. We joined the Carrots are Orange Link Up again! I love it! Thanks for linking up at Weekly Kids’ Co-op Linky Party!